Everyone gets a headache once in a while. 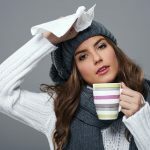 Often the product of stress, a cold, or the flu, headaches can range from mildly annoying to quite intense. On the other hand, migraines are severe headaches that sometimes come with other symptoms such as light sensitivity and blurred vision. A migraine is often triggered by food or outside stimuli. Aromatherapy can be useful for addressing these problems. 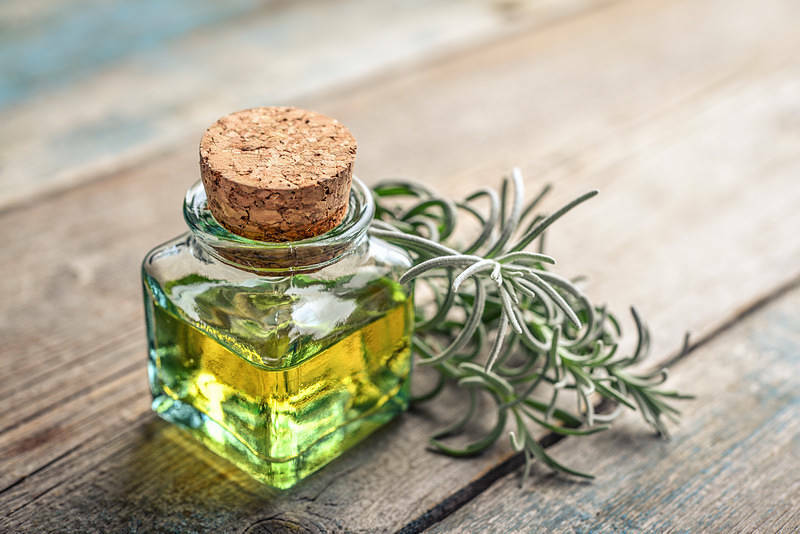 Essential oils such as lavender and peppermint, will not only relieve pain but also work on the entire nervous system, reducing stress, improving concentration and alertness, and easing mental exhaustion. 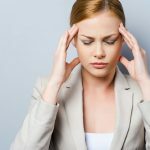 Here are a few essential oils for headaches and migraines you can use individually, or combine together to create your own therapeutic blend. Lavender has a long history as a folk remedy for a variety of ailments. It is also probably the most versatile essential oil as it can go well with most other fragrances. It has many therapeutic actions, including antimicrobial, anti-inflammatory, and analgesic. You can use it for skin care, and for addressing issues of the respiratory, digestive, and immune systems. What’s more, lavender is a nervine, which means it can have positive effects on the nervous system. It can effectively deal with not only headaches and migraines, but also insomnia, nervous tension, depression, and stress-related conditions. This is one of the most useful essential oils available in aromatherapy. Its clean, crisp fragrance can be easily combined with eucalyptus, lavender, rosemary, and many more. Peppermint is cooling and refreshing, then slightly warming. Its stimulating and analgesic properties make it work against neuralgia, muscular pains, tension, and fatigue headaches. It can ease nausea, a symptom that sometimes accompanies a headache. Peppermint is also great if you want to boost your mental alertness. Since it could cause irritation to sensitive skin, it’s best that you conduct a patch test before you start using this essential oil. This warming and antiseptic oil comes from the Australian gum tree and can be an ideal for relieving aches and pains. Eucalyptus can help loosen aching muscles and joints and improve circulation. It also boosts the immune system while it benefits the nervous system: it clears the mind, improves focus, relieves headaches and migraines, and lifts feelings of depression. Eucalyptus is non-toxic, as long as it’s used externally, and non-irritant in dilution (less than 20 percent). It blends well with German chamomile, peppermint, rosemary, tea tree, and several other essential oils. Chamomile produces a delicious herbal tea, as well as a very aromatic essential oil. The essential oil has a strong anti-inflammatory action and can work as a mild pain reliever. It is very calming, so it can soothe frayed nerves and promote restful sleep. It works well against irritability, nervousness, stress, insomnia, migraines, and headaches. It is also a good option for digestive troubles and skin care. While both varieties, German and Roman, have quite similar properties, Roman chamomile is milder and sweeter, so it’s a great option for treating young children. Rosemary is another popular essential oil with numerous applications. It has an appealing herbaceous aroma and blends easily with several essences such as basil, lavender, lemongrass, orange, peppermint, and pine. Rosemary is an analgesic and anti-inflammatory. It is also a nervine, so it is often recommended for debility, headaches, neuralgia, and nervous exhaustion. Rosemary stimulates the nervous system and increases brain circulation. You will, therefore, find that it not only helps with your headache, but also improves alertness, memory, and concentration. This refreshing and stimulating fragrance is great for skin care and an effective insect repellent. It also has analgesic, antidepressant, tonic, nervine, and sedative properties. It can assist in headache and migraine relief while enhancing well-being, calming the nerves, easing stress and depression. Lemongrass complements citrus oils such as bergamot, orange, lemon, as well as other scents like rose and ylang-ylang. This essential oil is made from the wood chippings of a medium-sized tropical evergreen tree and it has a spicy, sweet, and floral aroma. Often described as grounding and centering, rosewood benefits the mind as well as your emotions. It is a mild analgesic, useful for headaches, muscle, and joint pain. It also counters nausea, nervous tension, and stress and has antidepressant properties, so it can be useful for conditions such as seasonal affective disorder. You can combine it with geranium, lavender, rose, bergamot, neroli, and spicy essential oils, such as cinnamon and black pepper. This is the quickest and easiest way to benefit from the therapeutic effects of essential oils. You simply add 2-3 drops of essential oil or blend to a tissue and inhale deeply. Another thing you can try is steam inhalation. You will need a bowl of boiled water and 4-8 drops of the oil of your choice. Breathe in with your eyes closed for about ten minutes, or until there is no more steam. Traditionally, an oil burner is used to disperse the essential oil into the air. Nonetheless, there are now more options to choose from, including devices ranging from simple vaporizers to elaborate ultrasonic diffusers. Whatever you choose, remember to sit close to your device so that you can inhale the vapors and benefit from their healing properties. Alternatively, you can use an essential oil spray to get a more concentrated amount of oil faster. An aromatherapy bath is a simple and enjoyable way to soothe your body and calm your mind. It is useful for stress-related anxiety, insomnia, as well as headaches. You will benefit from both the presence of essential oils in your bath water and the steam that is produced. Remember to dilute your oil or blend before adding it to your bath. A carrier oil will help its molecules disperse in the water more evenly. Try to stay in the bath and relax for at least fifteen minutes. An aromatherapy massage is a great way to deal with problems in a specific area of the body. To relieve a headache, simply massage your temples using an essential oil balm. You can also massage your pulse points if you wish. Don’t forget to dilute using a carrier oil such as grape seed or almond. Keep the essential oil concentration low: add 3 to 5 drops in one teaspoon of carrier oil. Aromatherapy is one of the most pleasant ways to deal with a persisting headache or a migraine. Moreover, essential oils have many therapeutic actions and can not only relieve pain but also improve your mood and help you deal with mental fatigue, stress, and anxiety. Lavender and peppermint are probably the most effective, but feel free to experiment with other essential oils and create a blend that will suit your needs. However, if your headaches and migraines persist, make an appointment with your doctor, just in case there’s an underlying condition. Curtis, Susan, and Fran Johnson. Essential Oils: All-natural remedies and recipes for your mind, body, and home. DK Publishing, 2016.